"The real endgame is almost here." How much awesomeness can you pack into a 45-second promo? You're about to find out. 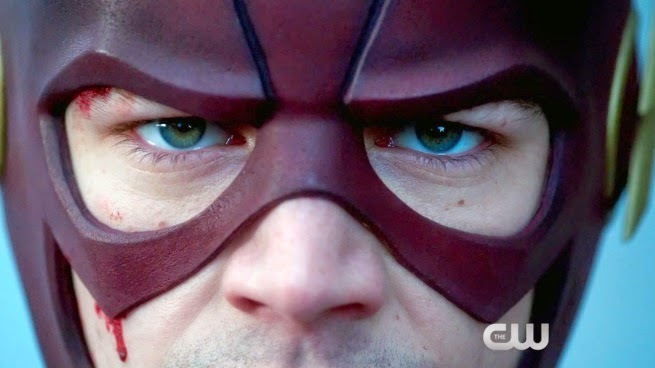 The final four episodes of The Flash begin this Tuesday! Hold on to your butts, the final four episodes of The Flash season one appears to go out in a blaze of glory as a showdown against the Reverse Flash looms large. It will bring Firestorm, Dark Arrow(?) and Captain Cold(?) together to help bring down Eobard Thawne. The video covers footage from all four episodes including Grodd's full debut (finally! ), the particle accelerator restarted and Barry trying to save his mother's life. A lot of repercussions for what's about to go down. Check out the preview.